Dutchman RV company is where trailblazing innovation and legendary value come together to produce the best vehicle for your family’s next adventure. From its plant in Indiana, Dutchman RV company is committed from axles up to ensuring families can explore and connect with nature in the best RV on the market today. 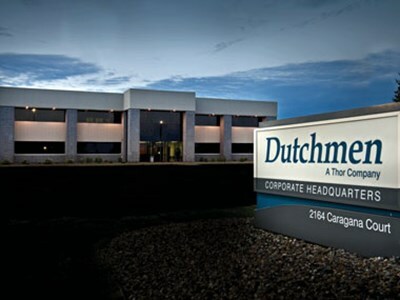 Since 1988, Dutchman has been innovating and producing industry-leading recreational vehicles, including such well-loved brands as Aerolite, Astoria, Aspen Trail, Coleman, Denali, Kodiak, Rubicon, Triton and Voltage.